Hitachi has come forward and announced that they have successfully developed quartz glass sheets as a medium of storing information. 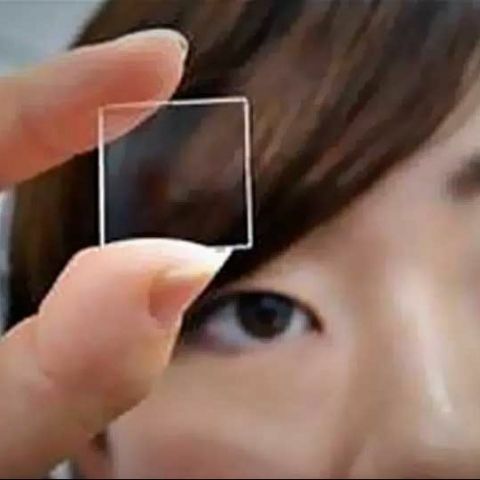 According to Hitachi, these little glass squares are fire and water proof, can withstand chemical exposure, and are impervious to radio waves. Data storage, though easily accessible thanks to cheap DVDs and hard drives, has always left some amount of stress on the user. What’s there to worry about? Drive failure of course. Or scratched disks. Storage media these days have a life of a few decades, but Hitachi claims that their quartz glass storage system could survive for a few hundred million years, at least. The glass stores information in binary in the form of dots inside the quartz sheet itself that can be read by an ordinary optical microscope. As long as a computer can understand binary, the data will always be readable. Hitachi’s prototype device is just a 2 centimeter square with just 2 millimeter thickness and has a storage space of about 40 megabytes per square inch, putting the current prototype around the same space as a regular CD. Hitachi says that since the information is stored as dots in layers, adding more layers should not be a problem. This way, they will hopefully increase storage space without increasing the length and breadth of the glass itself. Hitachi has not yet stated when they will release the new chips for commercial use, but they do have plans to support government organizations and museums with their new technology. Storage Tragedy!! -Immediate Help Needed.